Provost’s Fellowships are one-year awards with a stipend level to be determined by the Fellow’s respective college. 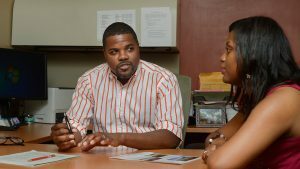 These Fellowships are designed to help in college and departmental efforts to recruit outstanding new doctoral students to NC State University. Prospective students cannot apply directly for these fellowships, but are nominated by their respective colleges. Only doctoral students are eligible to receive a Provost’s Fellowship. Fellowships cover tuition and health insurance. The out-of-state portion of tuition (where applicable) also is covered by the fellowship. Tuition and health insurance associated with the Fellowship will be covered in accordance with Graduate Student Support Plan (GSSP) guidelines: http://www.ncsu.edu/grad/support-plan/. Research assistantships are awarded by an individual faculty researcher to doctoral students who are interested in working on research projects in the faculty member’s area for which the researcher has external funding. If you are interested in pursuing a GRA, please fill out the Application for Doctoral Support which will be shared with all faculty who are associated with the PhD degree to which you applied. Research Assistantships are either 9 or 12 month appointments; have a stipend award which varies depending upon funding source; and includes tuition, fees, and health insurance as covered in Table 1 above. In fall 2014, 21% of the 433 doctoral students in the College of Education were fully supported by the College itself, external funds, or the College’s William and Ida Friday Institute for Educational Innovation. Most teaching assistantships are granted from a pool of applicants who have received a recommendation from a faculty member who has agreed to advise the applicant on their research. These assistantships are skill-based and granted based on the background information each TA applicant submits via their Graduate Application and Application for Doctoral Support. Proficiency in spoken English is required for all teaching assistantships. Teaching Assistantships are 9 month appointments (August 16 – May 15); have a stipend award which varies depending upon department; and includes tuition, fees, and health insurance as covered in Table 1 above. NC State offers graduate students a broad range of financial assistance options that help with tuition and living expenses while they are pursuing their advanced degrees. Graduate students may receive financial support through fellowships/traineeships, teaching assistantships, research assistantships, service assistantships, federal work-study programs, and loans. Please note that fellowships, traineeships, and grants are outright awards and require no service in return. They may be based on merit and/or financial need. Because they are very popular with applicants, it is vital to be aware of all deadline dates when applying for these types of awards. Review our tuition and fees information and see how establishing residency in North Carolina can significantly reduce your expenses. Apply to become an NC resident for tuition purposes or review information on and procedures for becoming a North Carolina resident. Explore the fellowships, traineeships, and grants available to NC State graduate students. Be aware that travel funds are often available to help graduate students pay their expenses for participation in professional meetings. Learn how the Office of Scholarships and Financial Aid (OSFA) can assist you in applying for and securing financial aid when your resources are insufficient to meet educational expenses. The OSFA can help with scholarships, grants, loans, and campus employment as well as provide financial aid counseling. Be sure to review the financial aid available through your department as many fellowships and traineeships are granted at the departmental or college level. Check out our diversity programs for information on special scholarships available to students. The Gerald Fund for Emergency Student Support provides assistance to students facing immediate, personal financial hardship who have approached the college for help.